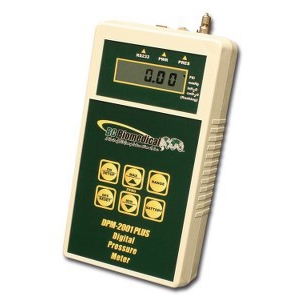 The DPM-2000 Series is a microprocessor-based digital pressure meter family. It measures both gas and liquid pressures and provides multiple engineering unit displays for the results. The DPM-2001 Plus has all the features of the DPM-2001 and adds Min/Max Pressure value storage and RS-232 communication.